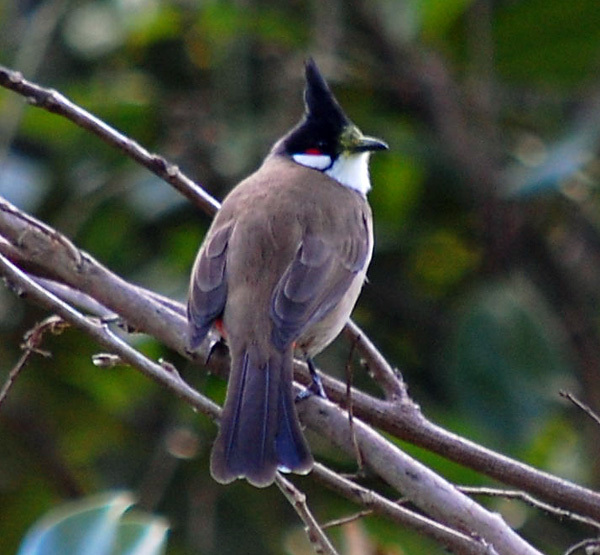 Although the Red-whiskered Bulbul is introduced, it seems like a "nice" bird, unlike many of the other introduced birds such as the Feral Pigeon, the Common Myna and others. They make a variety of several nice melodic sounds, and are usually seen in groups of two or three, perhaps four or even five occasionally. 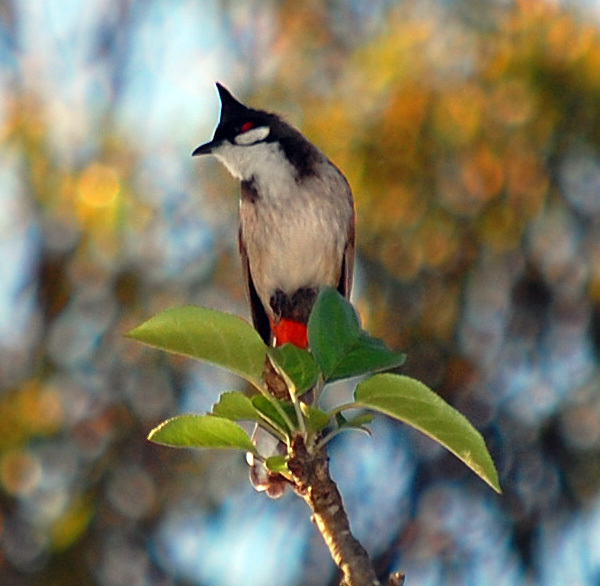 The Red-whiskered Bulbul has a crest on the top of the head which is quite distinctive, and tiny red patches behind the eye and under its tail that are usually hard to see. Juvenile bulbuls are pink under the tail and have no red patch behind the eye.